A couple of years ago those of you with a progressive metal bent may remember me waxing lyrical in these pages about Cambridge-based prodigious talent Rich Hinks and his band Aeon Zen. At the time they’d just released their second album ‘Face Of The Unknown’, with Rich, barely into his twenties, handling all guitar, bass, keyboard, drum and occasional vocal duties, as well as writing, production, mix and mastering. On the previous two releases most of the vocals were done by invited guests of the calibre of Nils K.Rue (Pagan’s Mind), Michael Eriksen (Circus Maximus), Andy Kravljaca (Silent Call) Nick D’Virgilio (Spock’s Beard) and Jem Godfrey (Frost), but with the next step being to go out and play live, Rich built a band around himself and Andy Kravljaca and supported the mercurial Devin Townsend on his European tour. 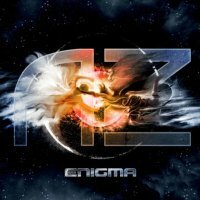 On ‘Enigma’ Rich pretty much plays everything himself yet again but has approached the vocals a little differently. Rather than losing continuity by having his guests sing different songs he's cleverly arranged the vocal lines so that he, Andi and guests Jonny Tatum (Eumeria), Atle Pettersen (Above Symmetry) or Nate Loosemore (Lost In Thought) all sing different parts in the same song. 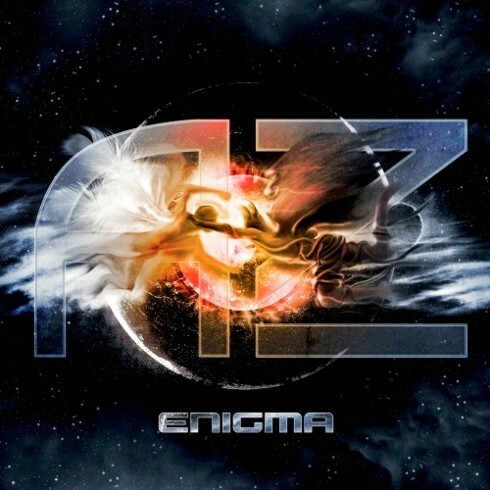 'Enigma's first nine tracks make up a concept, with a short atmospheric instrumental and eight vocal tracks with plenty of light and shade, breathtaking ensemble playing and poignant changes of mood and tempo. There's too much going on to describe everything in detail, but the likes of 'Artificial Soul', 'Turned To Ash' and 'Still Human' all twist and turn without losing focus and the vocalists are all great and used to their best effect, with the lighter tones of Rich himself as a counterpoint. 'Divinity' and 'Eternal Snow' have bursts of growly vocals on the heavier parts, and I'm not sure if they work, but they're relatively short and don't detract too much from the main melodies. Special mention must be made of 'Seven Hills', a mature ballad with waves of sound and even a saxophone solo (can you guess who played it? ), and the superb 'Warning', an amazing piece of music with an intro reminiscent of Devin Townsend at his most grandiose and a song structure that brings to mind the much missed Enchant. The track 'Downfall' ends the concept section and reprises a lot of the themes that have gone before. The standard CD version has two bonus tracks; 'Survival' being a fairly straight-forward prog-metal outing with staccato riffs and tight, intense rhythms, whilst 'Time Divide 2.0' is a new version of a song from the debut album and is sharper and superior to the original. There's also a USB stick version that adds different bonus tracks, but whichever you choose you're getting a quality progressive release that can compete with any other new album in the genre. For a young man to have created this almost single-handedly in his studio in Cambridge is quite a phenomenal achievement.